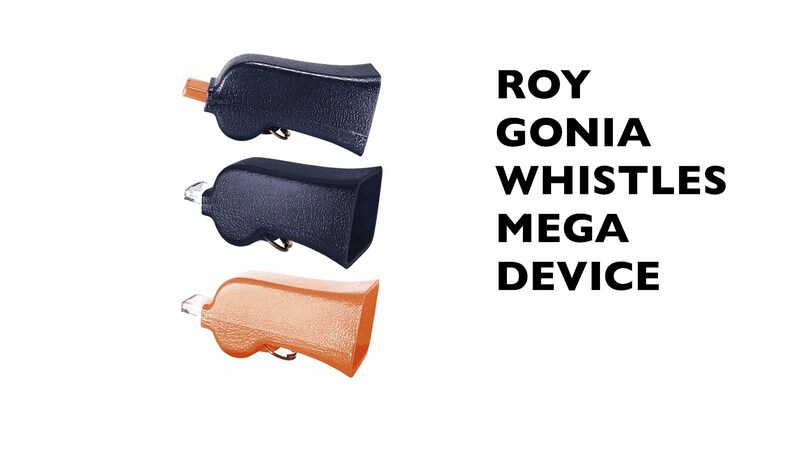 The Roy Gonia Orange Mega Pealess Clear Competition Whistle has been the standard in retriever training for the past 30 years. Made especially for those long blind retrieves in the United Kennel Club Hunting Retriever Club Tests (UKC/HRC), calling your dog in from big running horseback field trials with American Field (AF) or the American Kennel Club (AKC). Also useful for wild bird hunting in big country. The whistle is high-pitched with a penetrating tone that is amplified by the megaphone. Although the whistle is very loud, the megaphone directs the sound away from you and towards the dog. The pealess feature eliminates the cold weather freezing and sticking that happens in whistles with peas. Constructed with high density blaze orange plastic.